What Is Lectures Online (or lecture capture)? 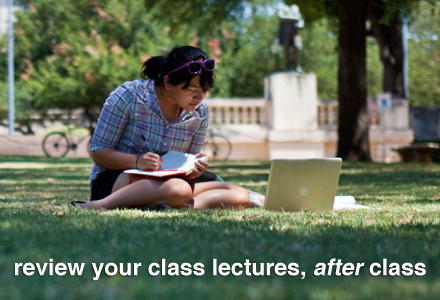 Lectures Online is a classroom based service offered by the College of Liberal Arts in 20 large classrooms on campus. The Lectures Online system records the in class presentation so students can review the material at a later time. This site has information for students, instructors and information technology professionals. Please choose from the links below to find out more about the service.